Diane Marie Smith was born in 1947, in Wisconsin, USA, and as Diane Hendricks is a well-known film producer, businesswoman, and philanthropist, and now the widow of businessman Ken Hendricks, so owns the Hendricks Holding Company which is estimated to have billions in net worth. All of her efforts have helped put her net worth to where it is today. 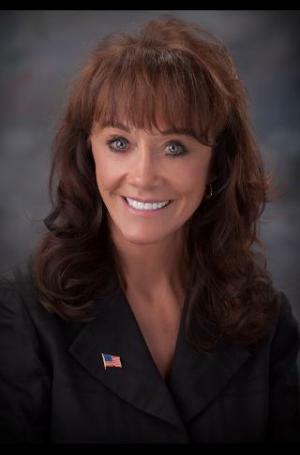 How rich is Diane Hendricks? As of early-2017 sources estimate a net worth that is at $4.9 billion, mostly earned through success in business, included that which she took over when her husband passed away. She is the chairperson of ABC Supply, and has produced movies all of which have ensured the position of her wealth. Diane is widely known and reported as one of the richest businesswomen in the world, and is certainly the richest woman in Wisconsin. Diane attended Osseo-Fairchild High School and matriculated in 1965. Around 10 years later, she met Ken Hendricks who was a roofing contractor at the time; she was selling custom-built homes and they would eventually become business partners. In 1982, they then secured a loan using their lines of credit to establish ABC Supply, which sold gutters, windows, and roof materials for residential as well as commercial structures. The venture proved successful and helped elevate her net worth significantly. They continued to build up their business by buying around 100 homes in the Beloit area; eventually, she would take over ABC Supply as well as the Hendricks Holding Company. Hendricks also ventured into the film industry, producing the 2008 film “The Stoning of Soraya M.” which is about an execution in a village in Iran. She also produced “An American Carol” in the same year. Two years later she produced “Snowmen”, and these films have helped increase her net worth too. For her personal life, it is known that Diane was divorced from her first husband 10 years before she met Ken Hendricks. In 2007, Ken passed away after falling from a roof at a construction site. She has seven children and 17 grandchildren, and now lives in Afton, Wisconsin. Diane has become known for her philanthropic activities too; she is a donor to WisconsinEye and is the co-chair of Rock County 5.0, the goal of which is to advance the County’s economy. She has also served on the boards of various groups including the Hendricks Family Foundation, Forward Janesville, Kandu Industries, and the Stateline Boys & Girls Club, as well as on the Board of Trustees of Beloit College. Diane has been known for making political donations too – she donated $500,000 for Governor Scott Walker’s recall campaign, has supported senior Republican Paul Ryan, and donated $1 million to the Freedom Partners Action Fund in 2015 and 2016, giving around $2 million. In 2016, she gave $5 million to the Reform America Fund which opposed Hillary Clinton and supported Ron Johnson. She was also an economic advisor to Donald Trump’s presidential campaign. Second richest woman in the US born on a dairy farm in Wisconsin..